It was a prolonged, rugged battle that artist Nel Ivancich very much did not want to lose. Pancreatic cancer had already claimed two of her four sisters – food grown for years in a garden atop a Utah tailings site was suspect – and she knew the awful drill. She fought hard. But on April 2, surrounded by husband John, the family she fiercely loved, and her treasured dog, Chance, she slipped away. 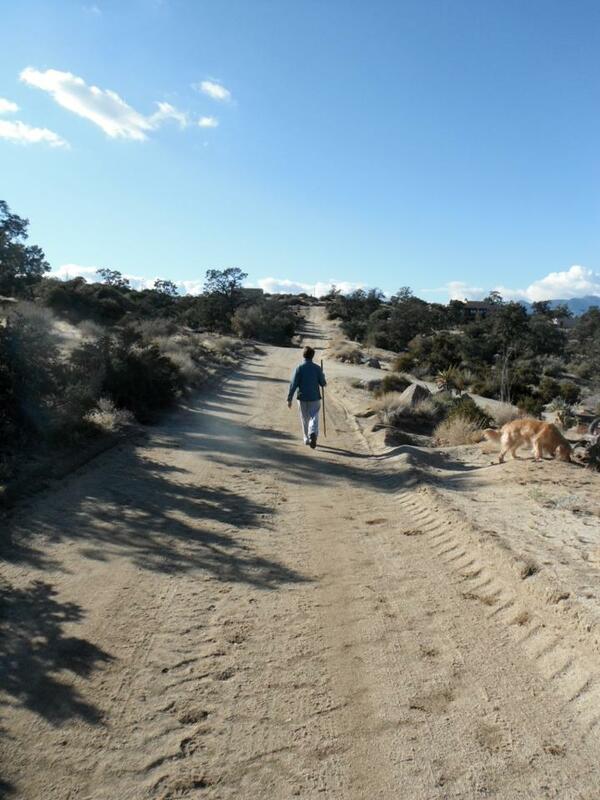 On May 10 Nel’s life was celebrated by relatives, neighbors, and friends from near and far using beribboned walking sticks to negotiate the magnificent surroundings of her high desert retreat in California’s Santa Rosa Mountains (Ivancich made painted walking sticks and used them for decoration and daily walks). It was a sort of family joke that the artist didn’t want a funeral, but did want a parade – and she got one. Written recollections were posted on a bulletin board and will be burned with some of the sacred white sage that grows on the mountaintop to pay homage to the impermanence of life, according to her daughter. Represented by Phillips Gallery, Ivancich was principally an abstract expressionist painter who also experimented with the computer and used mixed media in her work. 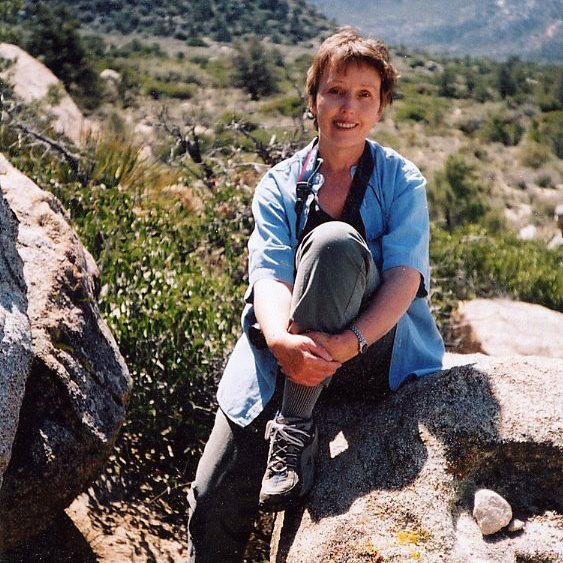 Her influences were “nature, life’s mysteries and the world around her,” which she frequently found on long walks with one of her dogs, her obituary reports. A student of abstract luminary Don Olsen in high school, she was later educated at the University of Utah where she received her bachelor’s and master’s degrees in fine arts and would teach for a number of years; her contemporaries included artists Lee Deffebach and Carolyn Coalson. Among her instructors were Tony Smith, Sam Wilson, Bob Kleinschmidt, David Dornan and Doug Snow. She also studied in California at Los Angeles Harbor College in Wilmington and Chouinard’s Art Institute in Los Angeles. Her work is in private and corporate collections nationwide, including the permanent collections of the Utah Museum of Fine Arts; Utah State University; Salt Lake County; and the Utah Arts Council. “Qi,” a strong 41” by 29 ½” mixed media on paper work created in 2009 can be seen in the “Abstract” show hanging at the Rio Gallery through June 9. … is a response to the moment, the relentless wind stirring things up in the garage where I paint, the changing light coming through the door and the window, the sound of birds having what seems to be a serious dialog, or nothing more than the earlier layers of paint I’m about to add to. An ongoing intention is to mix chance and deliberation to achieve an appearance of effortlessness. I am energized by the challenge to join these fractured moments of time and layering into one painting. This show of large mixed-media works is undecipherable to Coalson, despite all they shared over the years in their nearby studios – and a bit of an “echo” that is occasionally discernible in some of their work as a result. Coalson terms these 2009 pieces enigmatic. “They contain private codes and symbols that Nel employed to get into the painting. She didn’t want to share those ways. However, she trusted those instincts to make a painting; she trusted her intuitive process in getting where she needed to go with the development of the work.” These are complicated not from intent, but rather show how she went about her work. The two shared a process they jokingly called “Rescue and Recovery.” It involves going into the studio, viewing your work from the previous day, and simply layering paint over anything unneeded. Canvas or paper gets quite heavy with infused meaning this way, but is rarely discarded. For a 2005 show at Phillips, Ivancich created abstract watercolors, bold and strong paintings that have a great deal to say about her retreat in her Pinyon Crest home in the desert. They are large abstract gestures and wonderful color studies that show she worked ably in all mediums.